I am now stitching together the 2019 Memorial Exhibit tour schedule. We plan to visit another ten cities on the tour starting with a trip down the East Coast in March to New York City, Chapel Hill and Gainesville. 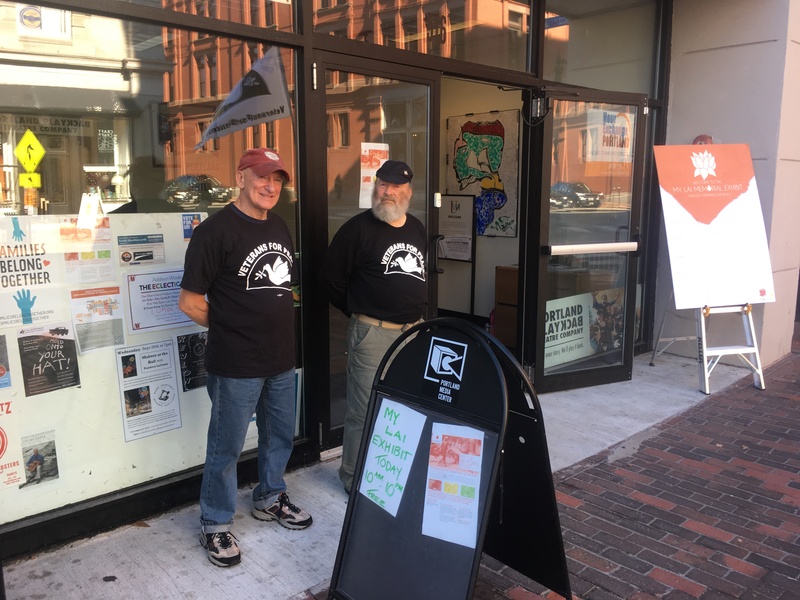 We are looking for hosts- Veterans for Peace chapters, Peace and Justice Centers, or other like-minded organizations – who will bring the exhibit to their city or town. Host members have a chance to work shoulder-to-shoulder to set up the exhibit, reach out to friends and allies, build programming around the exhibit to reach new audiences, promote their own projects. Hosts find venue space, handle the PR, help set up and break down the exhibit and pledge to financial support.